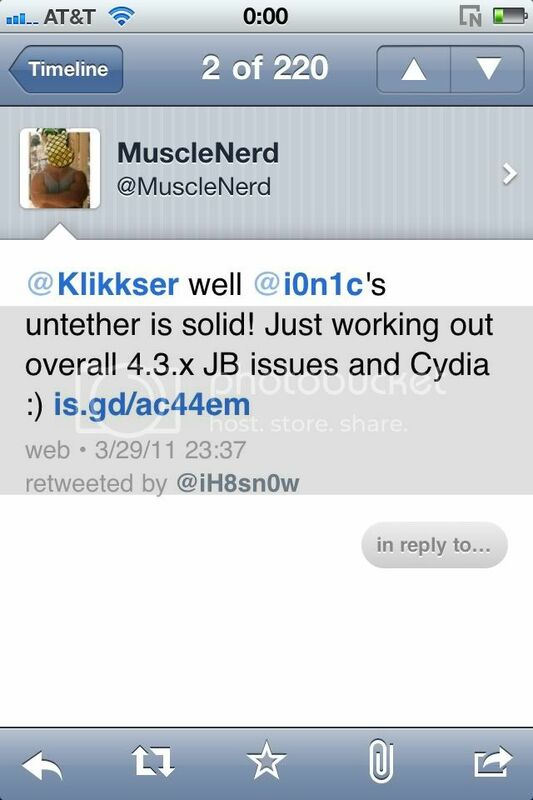 As stated on his twitter account Musclenerd says well @i0n1c's untether is solid! Just working out overall 4.3.X JB Issues and Cydia :). Update: Picture above was uploaded by Musclenerd and is the problem he is facing with Cydia.